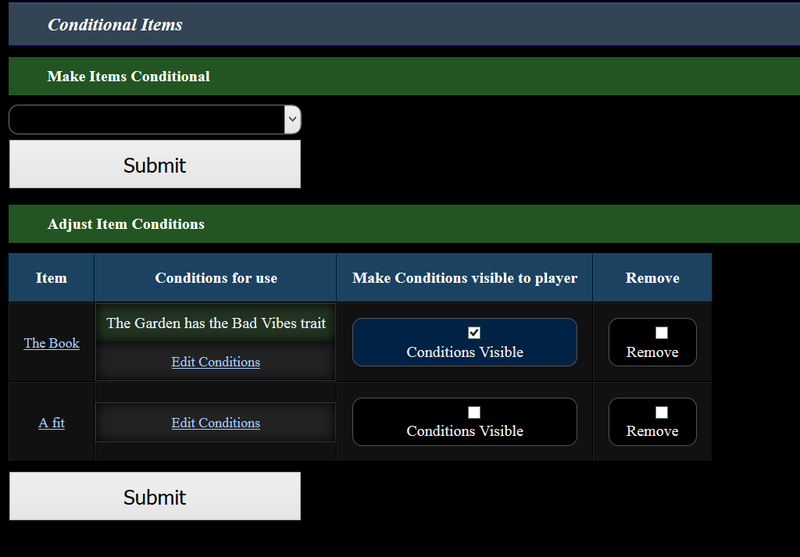 This plugin lets you make items conditional.. so you can't actually use them unless those conditions are set. Adds item types to the system. Straightforward. Below you can adjust the conditions to use that item, as well as whether the player can see what the conditions are. Will show you what needs to be done to make the item usable. Remember that the settings for conditional items applies to all clones of that item as well.